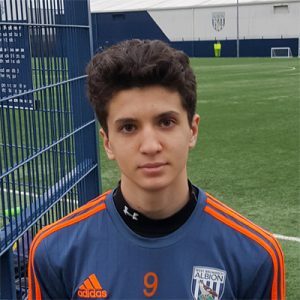 In February 2017, Apex and DB Sports Tours arranged for Matthew Radivojsa to attend a one week trial with West Bromwich Albion. Matthew is a Canadian U15 player with a long history with Apex. During the WBA trial Matthew practiced with the U15, U16 and U18 WBA team and played a game with the U16 team versus Notts County U18 team. The trial was a success and Matthew has been asked to come back for a 4 week visit in the summer of 2017 and additionally in February 2018 in preparation of a scholar opportunity in the summer of 2018. Matthew started his relationship with Apex in the summer of 2014 when he attended his first camp in Toronto as a U12. This was followed with Toronto camps in 2015 and 2016. Each camp Matthew attended provided an opportunity for Matthew to be evaluated by Apex and to receive improvement feedback from Apex. Additionally Matthew attended two trips to the UK. The first trip in 2015 as a U13 was an experience trip where Matthew’s team from Canada played against teams in the 3rd, 4th and 5th tier of UK soccer. In 2016 Matthew’s team participated in a competitive trip and played against the 1st, 3rd and 4th tier of UK soccer as well as a tournament with 2nd, 4th and 5th tiers. 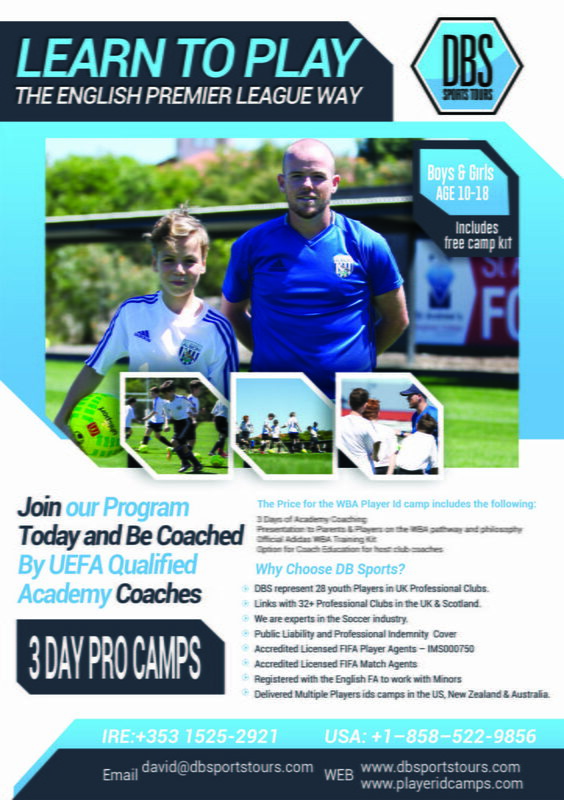 Based on scout feedback of the second UK trip and Apex feedback on the third Toronto camp Apex arranged with DB Sports MD, for Matthew to attend a West Bromwich Albion trial in February 2017. DB Sports will be holding a number of West Bromwich Albion Player ID Camps this April in Toronto and Trinidad and Tobago, if your clubs would like to host a WBA player id camp, please contact us @ info@dbsportstours.com for more details.